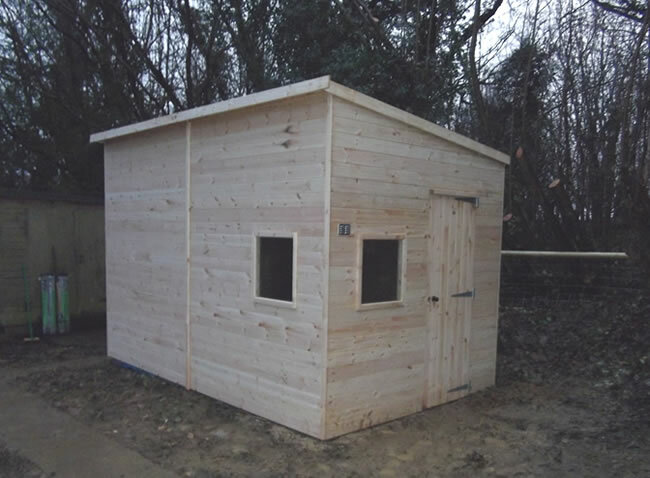 This is a small example of our bespoke, tailor made to measure sheds to display our diversity and scope of abilities. 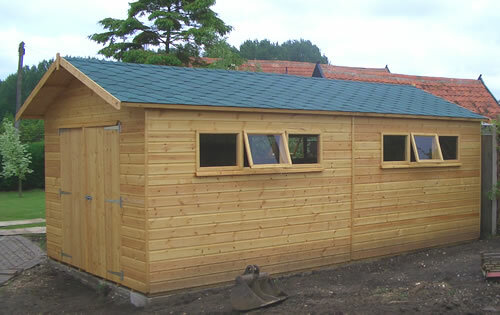 Although we supply over 2000 different types of buildings from our standard ranges our customers often require buildings of differing specifications or a quality that is superior than perhaps the buildings that are massed produced. 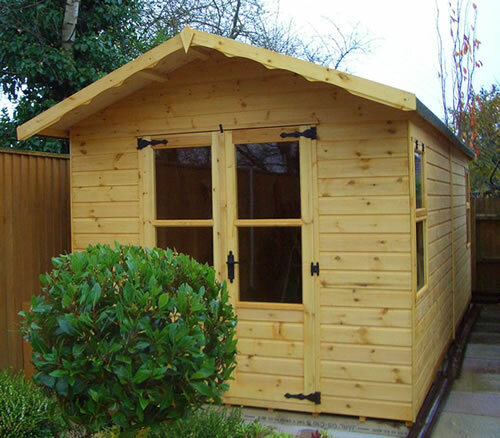 We manufacture our own range of buildings to extremely high standard, exactly the way we did when we started in 1953. We use a 5th Grade red wood pine from sustainable sources and can prove this with a chain of custody certificate if required. 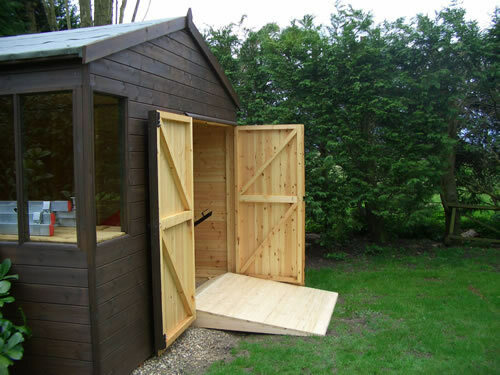 These bespoke, made to measure sheds are all hand made from start to finish in our factory in Ashwellthorpe, Norfolk. 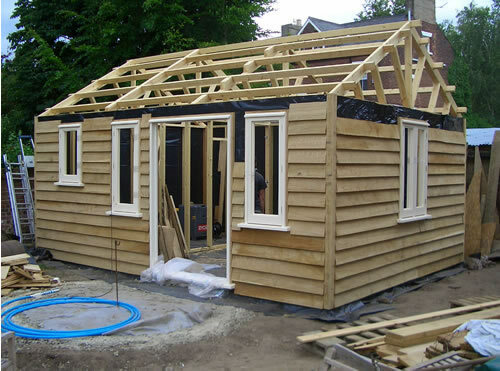 Each bespoke building is built entirely to the customer's specifications, no matter what the requirements. 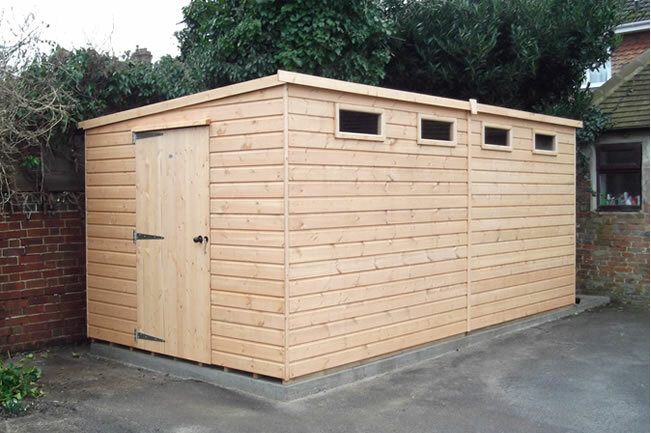 We specialise in bespoke sheds which are tailor made to measure and are regularly commissioned by not only the public, but by Government agencies and a diverse range of businesses. 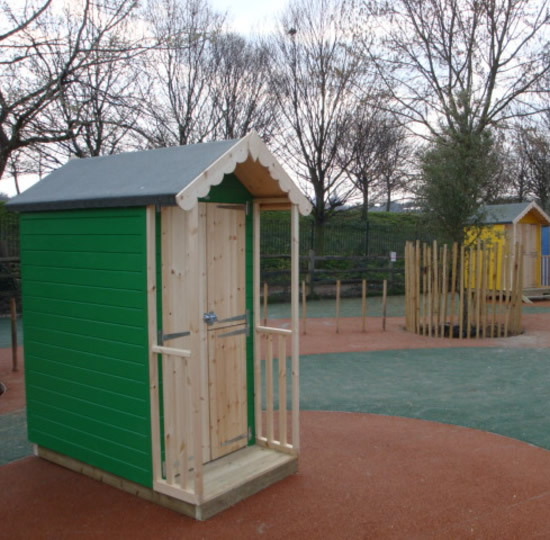 If you would like to discuss your particular requirements then please get in touch, we have tremendously experienced staff and they are always on hand to offer advise when required. 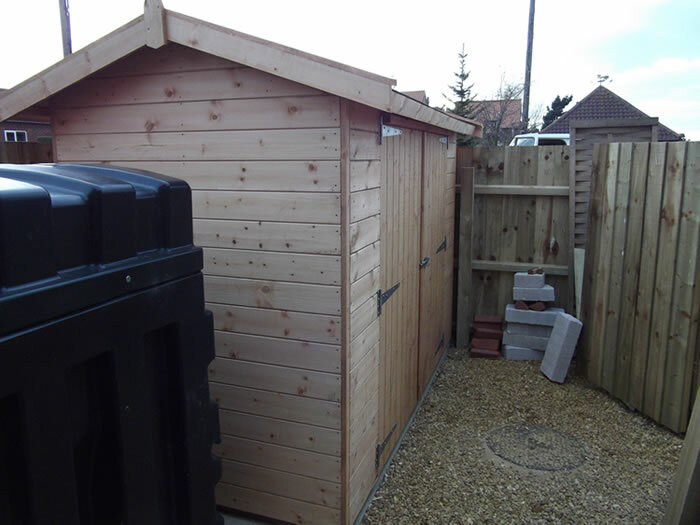 We can of course manufacture to your complete requirements should you not find what you are looking for. 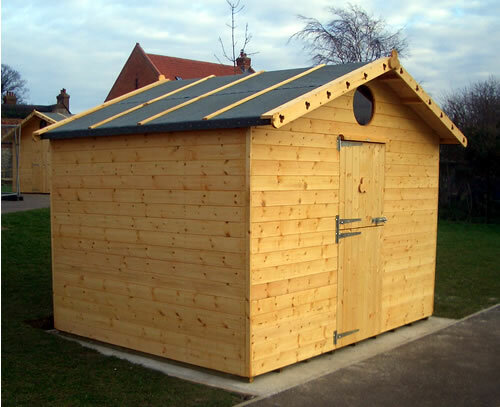 Unlike many of our other products these buildings do attract an additional delivery charge if delivery is outside of the NR or IP postcodes. Please see the drop down list on the product pages for areas and the delivery charge applicable. If your area is not listed please contact us for prices. 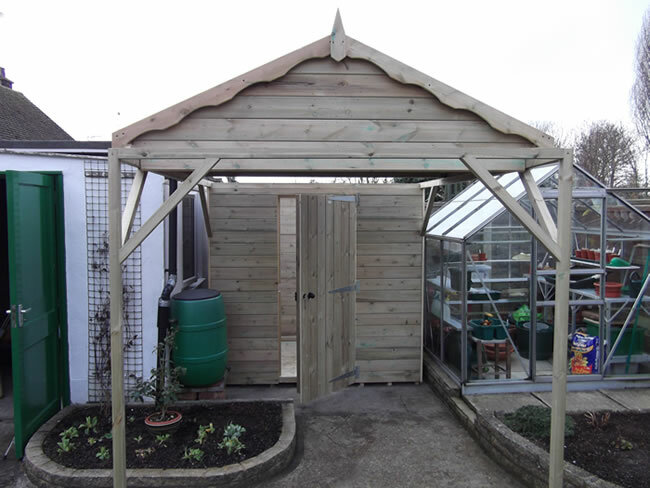 Bespoke Apex Shed 2.7x1.4m (8'9x4'6), designed to fit into the tight space of a customer's garden. 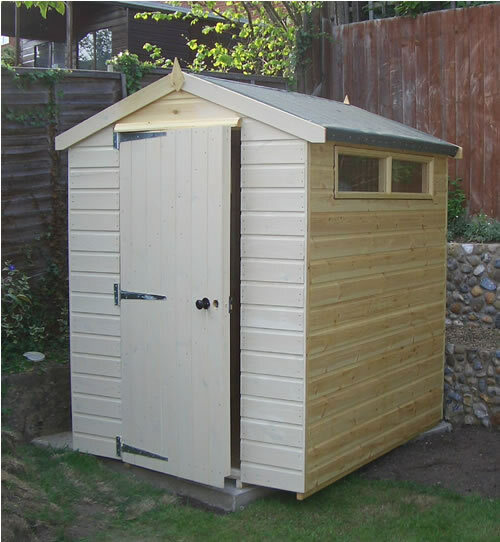 With double doors and 22mm heavy duty floor. 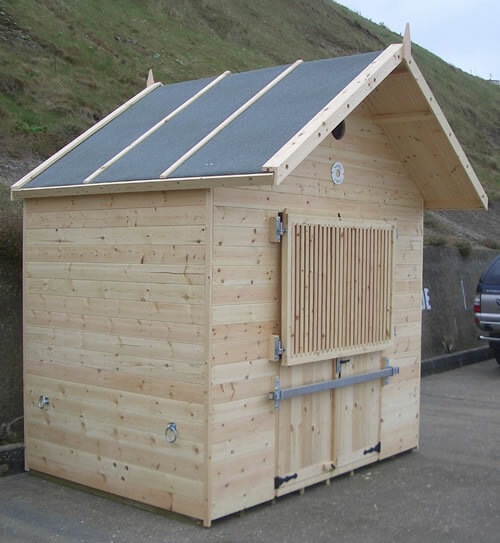 A bespoke beach hut measuring 1.5x1.5m (4'11x4'11) designed originally as goat houses for the London Zoo. 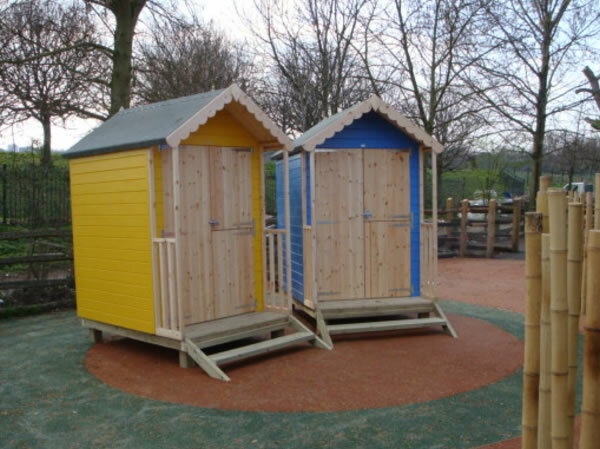 A bespoke narrow beach hut measuring 1.5x1m (4'11x3'3) designed orignally as goat houses for the London Zoo. The possibilities are endless with our bespoke workshops. 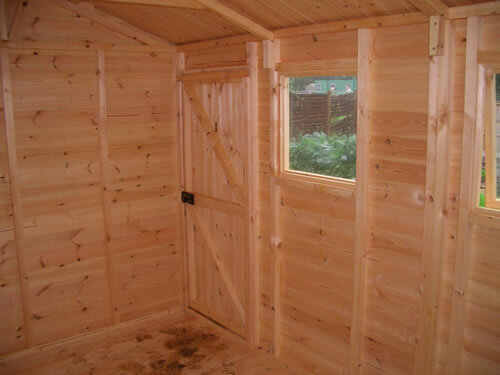 Tailor made 22mm Pent Shed 2.5x4m (8'2x13'1), designed for use as recording studio. 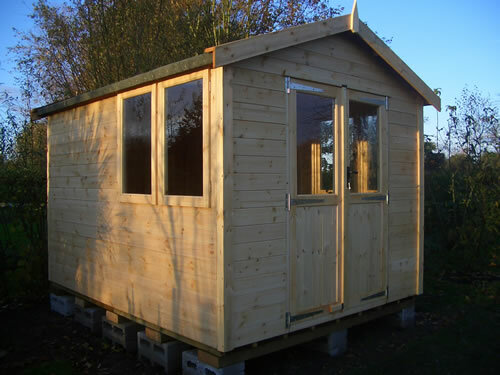 With two fixed windows, ventilation grill and single door. 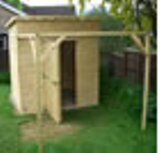 Hand made Security Pent Shed 16'x8' (4.88m x 2.44m). 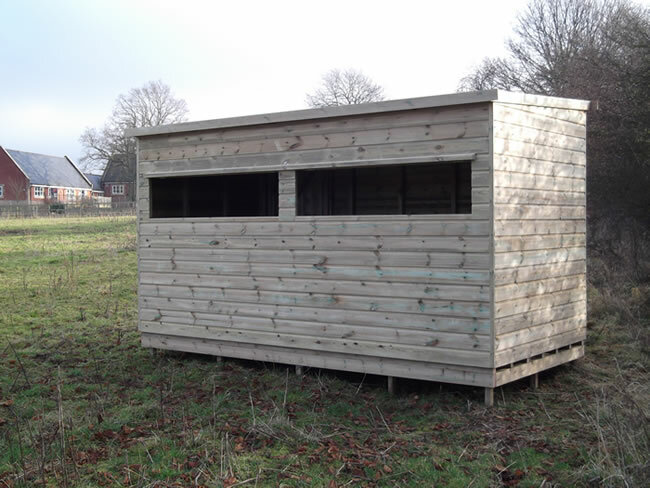 Featuring four fixed high level security windows and 3' wide single door. 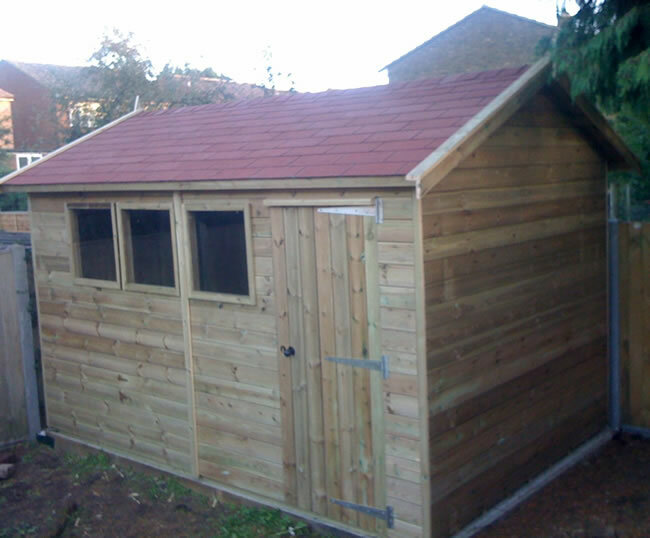 A bespoke wooden workshop garage measuring 3.35x4.88m (11'x16') with a front roof overhang and felt tiles. 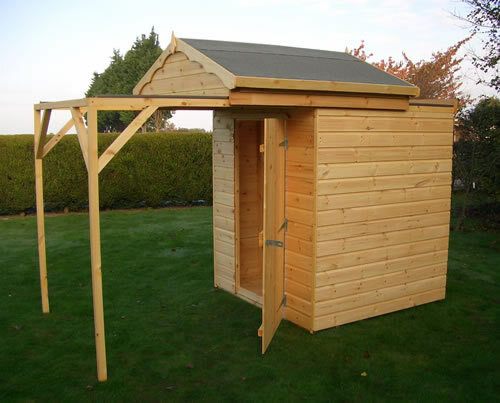 Heavy Duty 22mm Apex Shed measuring 22'x7' (6.71m x 2.13m). 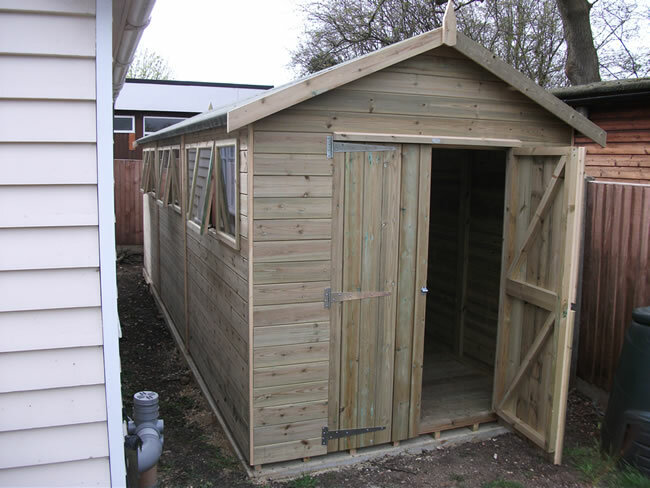 Including two sets of 4' double doors, 3 opening windows and 6 fixed windows. 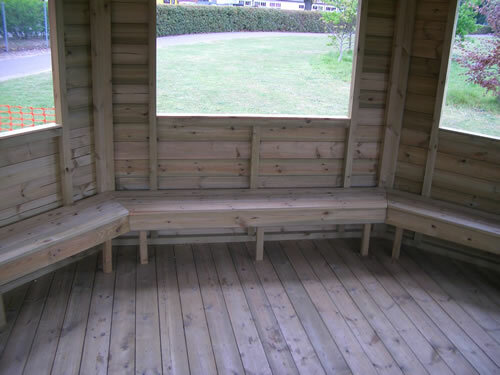 An outdoor classroom in an octagonal gazebo style measuring 14'7" dia. 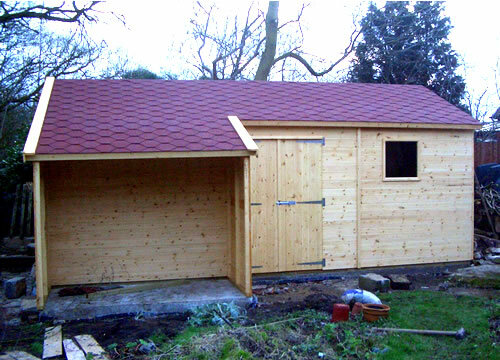 Tailor made High Eaves Apex Shed in tanalised wood measuring 12'x8' (3.66m x 2.44m). Featuring single door, two fixed and one opening window. 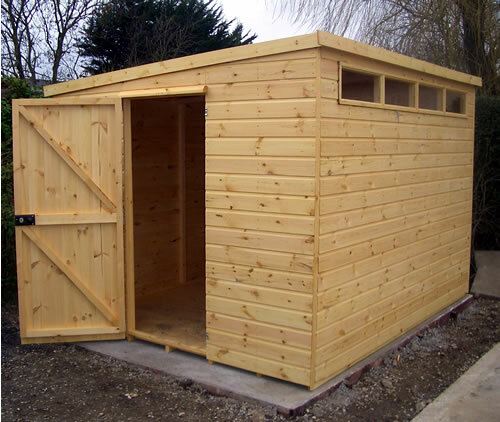 Bespoke Large Apex Workshop Shed 6mx4.5m. 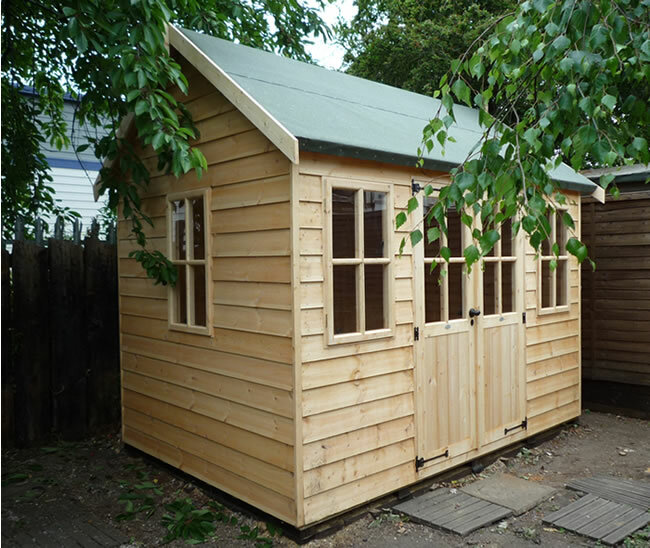 Divided into two rooms by an internal partition to create a workshop area and storage room. 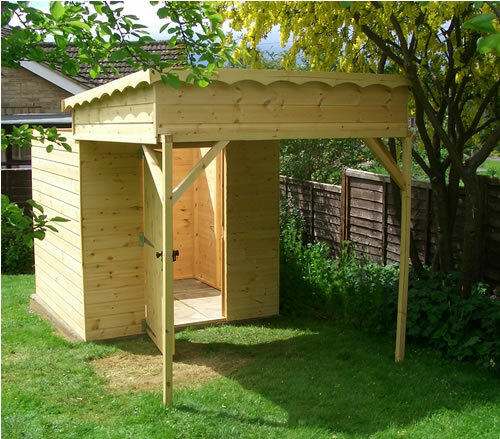 A bespoke 22mm Astronomers Observatory Apex Shed 7'x5'5 (2.13mx1.68m). 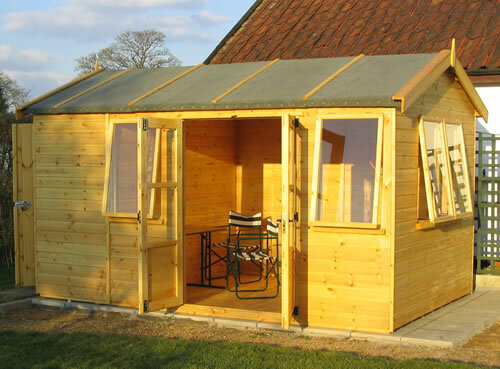 With roll on, roll off observatory apex roof to the front with support frame. 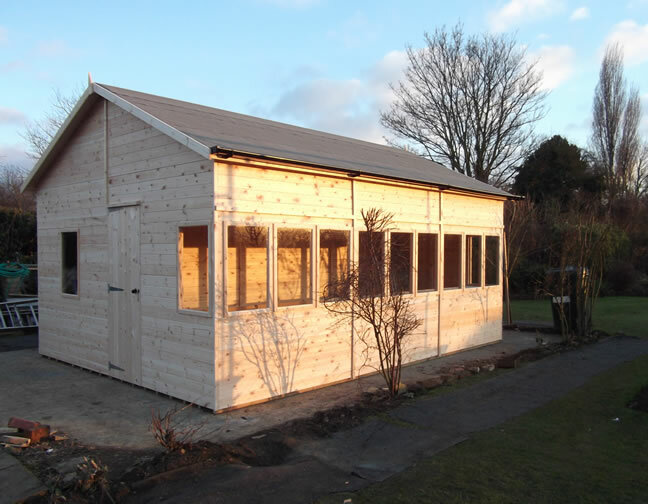 A bespoke garden studio, the Weybourne measuring 7' x 10' (2.13m x 3.05m). 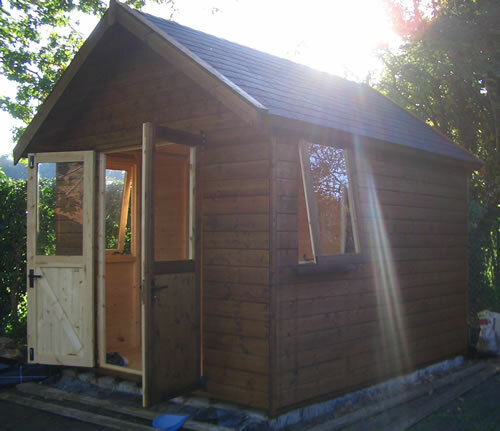 Hand made in our workshops, featuring double doors and three cottage style windows.